Merrill Gardens was OK, but they are one of the highest priced than the others that she looked at. It’s up to date. They have entertainment every Thursday. The residents were nice. The food is very good,but they only got 1 person running on one floor, and now she said they had people in training. Thank you for writing this review for Merrill Gardens. We are glad to hear that the food was good. We appreciate the feedback regarding price and having team members in training. Please reach back out to us if we can answer any further questions for you. My Uncle has lived at Merrill Gardens Oceanside for four years. I visit him several times a week. I recommend this facility. We call it "The Hotel" - eat whatever time you like, room cleaned weekly, nice amenities with modern decor. The receptionists are all so friendly and Wanda knows everyone by name and apartment number. The housekeepers are very good, nursing staff is caring, and the Trixie the Activities Director provides well rounded offering of activities and transportation. Overall management is outstanding. Thank you for sharing this experience regarding your uncle's home at Merrill Gardens. This is exactly the kind of feedback we strive to receive! Merrill Gardens also had a nice 1-bedroom and it had a couple of other amenities like a meeting area. It’s a newer and comfortable place. We are happy to receive this positive review for Merrill Gardens at Oceanside. We appreciate you taking the time to share your feedback with us! I was impressed with the quality of the staff, the overall condition, and the location of Merrill Gardens. Their schedule for meals is very different from any other facility, and they have an activities schedule. We are so pleased to received this 5-star review for Merrill Gardens at Oceanside. We are proud of our Anytime Dining program, and we continue to receive great feedback from residents and family members about the program. Merrill Gardens at Oceanside was really good. They showed me the individual rooms. They had an Alzheimer's unit in the back which I didn't tour. They had all kinds of activities like day trips where they go out and have lunch. The dining area was pretty nice. They were upgrading the area, and it looked like it's going to be nice. The place was very clean, and the girl who gave me the tour was very helpful and professional. It was in a very busy area. Thank you for sharing feedback regarding your experience at Merrill Gardens at Oceanside. We are so pleased to hear that you enjoyed your visit! We were quoted a price for my wife to become a resident, but became on the waiting list because she required a brief hospitalization. About six weeks after making a deposit to Merrill Gardens, she was ready to move there. The price had suddenly increased by roughly $600/month. The staff had nothing to do with this almost 20% increase, the Owners of the facility determine just how much that they can squeeze from elderly residents! It's ALL about money. Everything about Merrill Gardens was great. The people were great and informative, the food was very good, there were lots of activities, and everything was maintained well. People seemed very caring and interactive, and it seemed they had a lot of activities going and doing things. I think on that particular day, they had a bus going to some unique ice cream place. The rooms seemed fine, and everything was clean. The only downside to this place was there were no stoves. They had fridges and microwaves, but no stoves. Thank you for sharing feedback from your experience at Merrill Gardens. We are so happy to hear that our team members were informative and caring. Please contact us directly with any future feedback or needs. We went to Merrill Gardens. The staff was very nice. They were patient. The tenants seemed to really love the people that were taking care of things, and they seemed to be happy. The location was great because it was close to shopping areas, restaurants, and grocery stores. We had lunch there, and the food was very good. We appreciate you taking the time to give us this feedback. We are so happy to hear about your experience with our team, the location and the food. You are always welcome to contact us directly if you have any questions. The other one that we liked recently was Merrill Gardens. I liked the friendly attitude of the people at the front desk. I remember that they had a bulletin board display where they were honoring the veterans who live there, which would include my husband. There isn't anything that really stood out in particular; it just all kind of blended all together after a while. They were very pleasant. Thank you for taking the time to give us this feedback. We are happy to hear that you saw our display honoring veterans. Please reach out to us directly if we can answer any questions or be of assistance! Merrill Gardens at Oceanside is the one I visited that I didn't like. To me it was a little more of a nursing home than a retirement community. It was really old. The dining room was particularly attractive. But I just didn't care, and none of us liked it. That's where we had lunch. There was really nothing wrong with the lunch, but I would never go there. They showed us one room that is very neat and nice but extremely small. They said that everything was just like that. The other rooms were the same. The rooms are very small and old. The accommodation at Merrill Gardens is very nice, very good, and comparatively reasonable. Most of the staff I met is very nice and very accommodating. They have 3 meals. I like the restaurant-style place. The food place is open all day. You can choose your own time when you want to eat. That’s very nice, rather than being limited to just a special hour a day for lunch or a special hour a day for breakfast. They’re open from 7:00am to 7:00pm, like a restaurant. They have exercise, bingo, a card club, and trips outside. It’s not perfect, but I really like it here. I like the place. Overall, it's a positive experience. It's nice, clean, and they have good people. Our parents moved to Pacific Place several months ago. The decision to move them from living independently in their own home to assisted living was a difficult one to make but the experienced staff at Pacific Place made the transition smooth and pleasant. Ou parents are very happy in their new home. At this time in ther lives personal relationships are very important. Since moving to Pacific Place their quality of life has improved. They have made new friends with both the staff and other residents. All the staff from the - maintenance crew, dining room staff and management - know our parents and call them by their name. We checked several other facilities before making our decision and found Pacific Place to be the best value for the money. We are still very happy with our decision. We wouldn't hesitate to recommend this facility to anyone. The visit at Pacific Place was very good. We had a nice tour and once again the woman that we talked to called me a couple of times just to see how things are going. We were very impressive with their facility. We probably would not choose them only because of their memory facility is in a separate building. My mother would not be able to keep her cat because of their setup and having her pet with her is very important. High turnover. Expensive $6,000.00 per month. Had to pay for assistance services (showers) even when they did not perform them. Paying for 3 showers per week and some months only had one or two per week. Eleven incidents requiring reports to licensing agency...falls, head injuries, bruises, etc. Failed to send medical information to hospital as required in emergency. Failed to send Do Not Resuscitate order, which ended up requiring hospital to resuscitate and over $200,000 in medical bills laying in a coma until death. One trip to ER doctor would not release him back due to suspicious bruising and repeated visits to ER. they promised to increase his care and move him to a different room. They moved him to the new room 6 months and many more injuries later. Property was stolen from his room. Paint on walls peeling off, drapes dangling from rods, stains on carpets and had to go down the hall to a bathroom. Understaffed. Untrained employees. etc.etc.etc. Merrill Gardens had no comment or response to complaints. Did not inform family of problems. The worst possible place to send a relative. Merrill Gardens just sold many of their facilities. Maybe things will improve. My grandmother stayed at Pacific Place the last few years of her life. All in all i think it was a pretty good place. Bathrooms were always clean, rooms were heated and air conditioned. They had pretty good food for a retirement home, never cold. I would eat with my grandma and her friends there once a week. And somehow every night i would go it would be sweet potato and lamb... yuck. My grandma thought it was my favorite haha. Holidays were good they had big dinners. But there was one thing, management was never the same, always new rules and regulations, and different staff. I remember one time i walked into my grandmothers room and there was ma-gets on the counter. I asked her how they got there and she said no one had to came to clean in a week. But of course when i talked to them they said they had. It also seemed like there prices changed alot but i wasn't in charge of that so i don't really know. My grandma made tons of friends so i think that helped with the poor management. Its a beautiful place they have alot of activities i just think they should be allowed outside more like taken on walks and such. Merrill Gardens was nice. It had a larger building, but I did not care for the layout of the unit. It was a 2-bed, 1-bath, and my parents wanted 2-baths, so it did not fit their need. The place was clean. It was right in the corner of a busy road, but it had everything the rest of them had. It was larger and had more units. The person that assisted was very nice and very informative. They had been following up with me, and they called and said that they had a two-bedroom opening up. Merrill Gardens was good. It was more affordable than some of the other ones, and they were nicer in general. The rooms were nice and clean. The food was restaurant style. The staff was really nice and very helpful. They offered some activities, and it was up to you if you wanted to partake on them or not. It was a smaller place and not as fancy as the other one that I visited, but it was less expensive. Thank you for providing us with your feedback from your visit. We are pleased to hear that you enjoyed Merrill Gardens and that our team was helpful. Please let us know if we can answer any additional questions for you! I like the friendly attitude of the people at the front desk of Merrill Gardens. I remember that they had a bulletin board displayed where they honor the veterans who live there which would include my husband. It is located in a place with good weather. They were very pleasant. They had walking groups and bible study groups. They also had activities like bingo and crosswords. Thank you for writing us this review. We are happy to hear that you saw our display honoring veterans and that our front desk team members were friendly. Please reach out to us directly if we can answer any questions or be of assistance! Merrill Gardens at Pacific Place seemed to meet my needs better than many of the ones I saw. I am on the waiting list because it is my first choice; I am not ready to move right now. The main thing that made a difference to me was the way it was laid out so that all of the things that were essential to the heart of the whole thing were centrally located, and these are where the activities were, where the dining room was, so you didn't have to walk too far. The facility seemed well kept and nice. It just appealed to me. They showed me where the rec room was, where the TV room was, and where the chapel was. And, when I went through, the ladies were doing floral designing. The layout of all its departments, the living facilities, would fit with me, the convenience of the whole thing, and that is my need. So from that standpoint, I'd give it a high rating because it seemed to meet the needs that I have. I met one lady at reception, and she was very nice. The lady who was my guide through the facility was very friendly and very nice, and we had a good rapport. 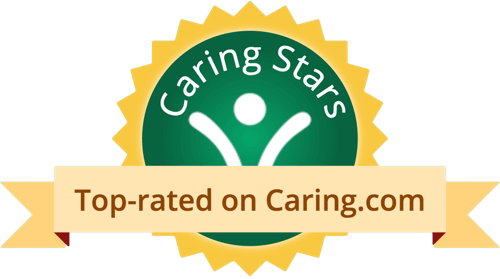 I was very impressed with the atmosphere and feeling of the patients and care givers. The cost is a flat fee, so no extra cost for extra care. They also have a retirement side and they have some activities together. I feel my husband will be relatively happy there. Merrill Gardens at Oceanside, a Merrill Gardens Community, is located in Oceanside. Our senior living community includes independent living and assisted living apartments, as well as Alzheimer's care. 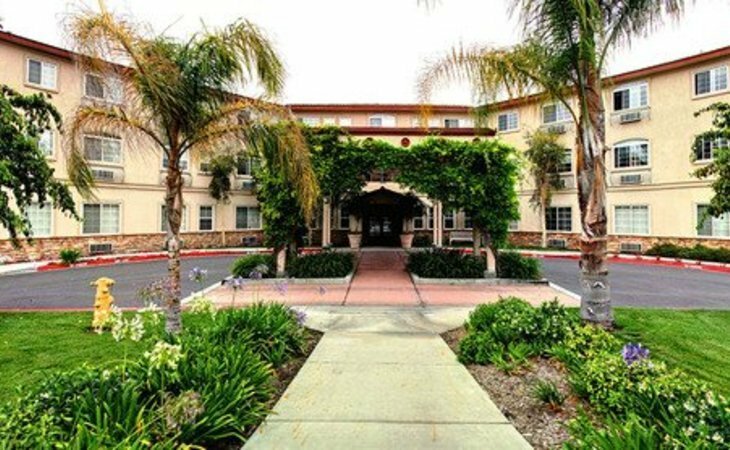 Merrill Gardens at Oceanside offers quality senior housing in California -- one that provides all of the amenities of a home without the work. Imagine a life without household chores, yard work or home maintenance. What should caregivers and potential residents know about Merrill Gardens at Oceanside?